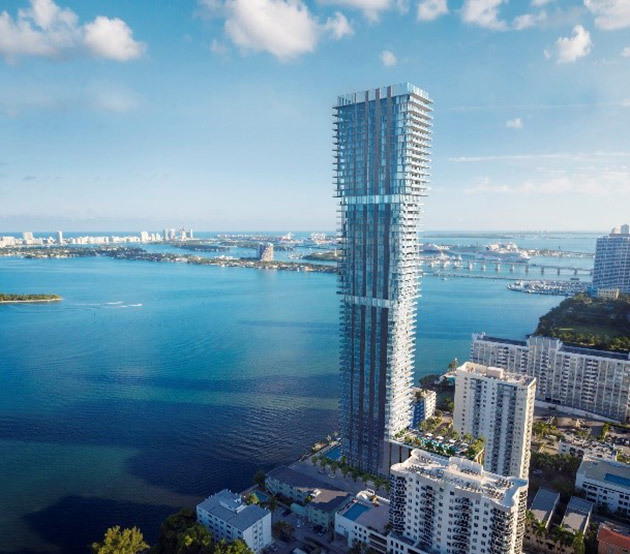 Walker & Dunlop, Inc. announced today that it arranged construction financing in the amount of $138,100,000 for Elysee, a 57-story waterfront condominium tower in Miami’s luxurious Edgewater neighborhood. The project is located on 0.67 acres at 788 Northeast 23rd Street. Based in Miami, Florida, O’Grady and McGlynn have been active in structuring nonrecourse construction loans nationwide for apartments, condominiums, hotels and mixed-use properties. The team also focuses on identifying providers of equity, structured debt, and portfolio financing for developers and value-add owners and operators. As a team, they have closed in excess of $16 billion of debt and equity transactions. Construction of the 100-unit luxury tower began in 2017 and is expected to conclude by 2020. Once complete, Elysee will feature three- and four-bedroom floor plans, ranging from 2,300 to 4,000 square feet, and up to 11,625 square feet for the largest penthouse unit on floors 56 and 57. Amenities will include a ground-level pool, a sunset pool on the seventh floor, fitness center, spa facilities, and an owner’s sky lounge with private dining rooms and entertainment features on the 30th floor. The project is being developed by West Palm Beach-based Two Roads Development, a partnership led by James Harpel, Reid Boren, and Taylor Collins. Two Roads is the developer of the now sold-out Biscayne Beach, a 53-story, 391-unit project also in Edgewater. Walker & Dunlop is a leader in the commercial real estate finance space and was ranked #17 on Fortune Magazine’s 2017 List of Fastest Growing Companies. The Capital Markets team also closed a record $7.3 billion in total brokered volume with over 235 different capital providers in 2017, up 75 percent from 2016. To learn more about Walker & Dunlop’s financing capabilities, visit our website.